The CHT-NILE is a high-temperature, lowpower, 8-bit programmable threshold comparator. This device compares an analog input against a 8-bit resolution portion of the 5V reference voltage based on an R-2R network and features a strictly monotonic characteristic from -55°C up to +225°C. 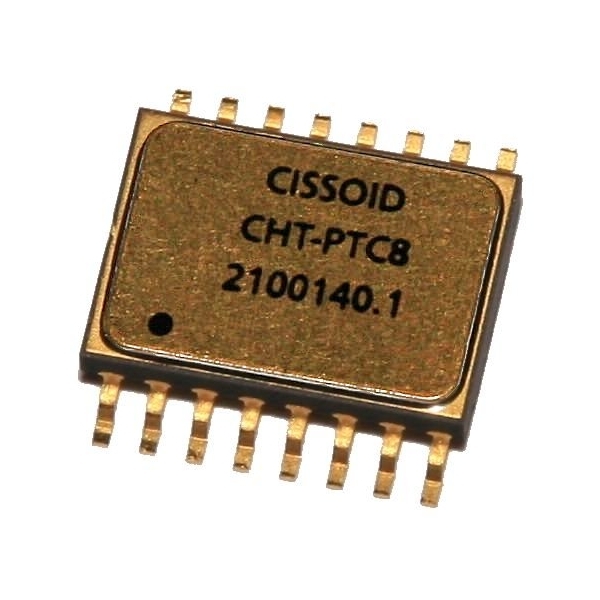 The CHT-NILE is a continuous time device and is able to provide a valid output within 2.6µsec for a 10mV comparator overdrive. Oil&Gas, Industrial, Automotive, Aeronautics & Aerospace.